This Total Lunar Eclipse or “Blood Moon”, is on 4-April-2015 and will be visible in most of Australia , South & North America including United States (USA), & Asia including Pakistan, China and India. The Moon will be totally eclipsed for about Five minutes from beginning to end it will last for three hrs and twenty nine mins. This is the third eclipse in the 2014 to 2015. The Moon haves not its own light, but it shines because of the light of sun, its surface reflects the Sun’s rays. A full lunar eclipse occurs when the Earth’s shadow blocks all the Sun’s light from directly reaching the Moon. Blood Moon is sometimes used to explain a Total Lunar Eclipse. When the Earth casts its shadow on a Full Moon and eclipses it, the Moon can obtain a red glow. 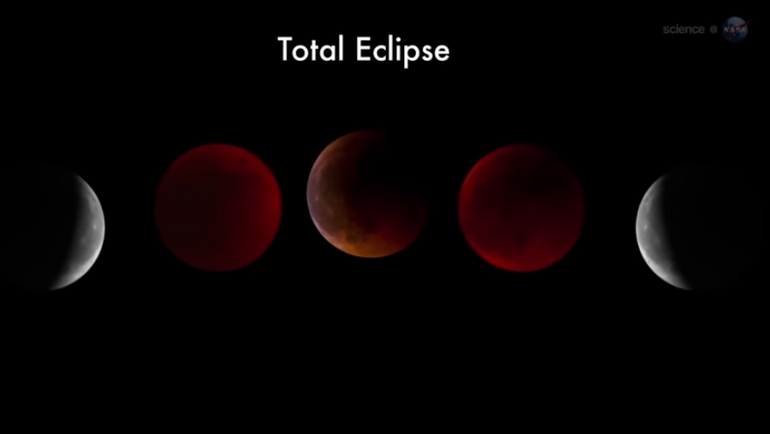 What is Total Lunar Eclipse? The plane of the Moon’s orbital pathway around the Earth is at angle of 5° to Earth’s orbital plane around to the Sun. The points where two orbit planes meet each other are called lunar nodes. The lunar eclipses happen when a full Moon occurs near a lunar node. That’s way we cannot see a lunar eclipse every month if a full Moon is needed for a total lunar eclipse. Why The Moon Looks Red? 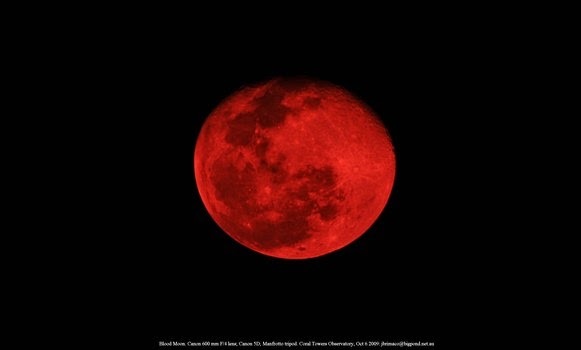 Recently the term Blood Moon has become very popular when referring to Total Lunar Eclipses. When the Earth eclipses a full Moon, the direct sunlight can blocked, but the rays of sun still light up the moon. This light has travelled through the Earth’s atmosphere 1st, and causes the total eclipsed Moon to look brownish or red in color.